1- Zoo Visit : Zoo is a place where every child (of any age group) love to visit and they thoroughly enjoy. Zoo is one of the best place to visit with kids and it is educational on the other side.. Kids will enjoy and learn about wild animals and forest, etc..
2- Park Visit : Park is another place where kids enjoy a lot... Different activities and boating is really funfull.. You can also arrange a family picnic kind plan and kids really enjoy a lot and it will also be a quality family time for the little ones..
4- Eat at Restaurant : After the tired full celebration at school ,it is a good idea to take kids to restaurant for lunch and order their fav food.. You can also go for dinner outside with their favorite food... This will bring a happy smile on their face which obviously make our day. 6- Cook his/her fav food - Serving the fav food of someone is the best way to make that person happy... Make your kid's favorite dishes at home and present in a funfull way to make this moment special. 7- Gifts and chocolates - Surprise your little one with his/her favorite toy(gift) and chocolates.. This will definitely lift up the mood and they will happy for sure... 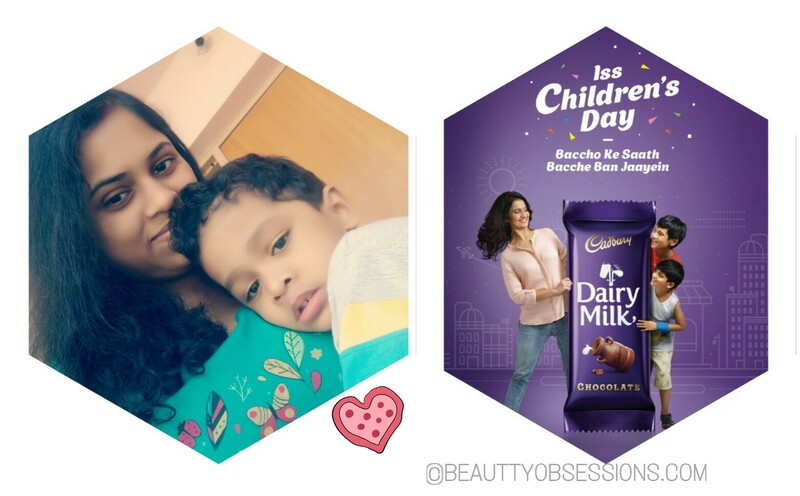 I am going to gift my son his fav toy and his fav cardbury dairy milk chocolates this Children's Day.. Surprise gifting is one of the best option to make anyone feel special. 8- Decorate home : Decorate his/her room and don't forget to stick their fav cartoon character pics and few fresh flowers.. Infact you can involve your kid to decorate the house and other preparations and throw a party at night.. That's the awesome idea actually..
9- Visit orphanage - It is very necessary to teach the kids to respect others and to love others.. I think Children's Day is the best day to make your kids visit to orphanage and to donate something to the needy people there..
10 - Spend quality family time - And at last but not the list, quality family is really important for today's kids because everyone is busy in their work and it is difficult to have some family times together.. So if you are working or your husband, take a leave from your work and spend the whole day with your kids .. That's really important. That's all the ideas coming to my mind right now to make Children's Day special for our kids.. Let's play funfully ,spend family times, enjoying - that's what the moto is.. Let's stop being strict for one day and bring out the small kid inside us and make our little ones feel precious and special.. 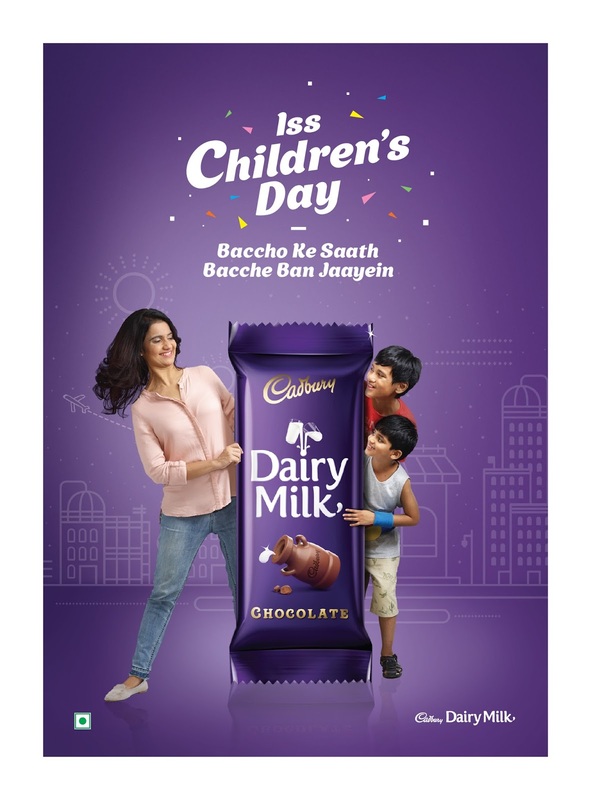 In all these don't forget to share the cardbury dairy milk chocolate with your kids to make this Children's Day more sweet. Hope you found this post interesting.. See you in the next post.. I think we all should devote some time to kids to make Children's Day special for them. Great tips. Thank you very much. Giving them quality time is really important thing. Thanks for such amazing tips on children's day. I also feel that we, as parents must be a part of this special day and spend loads of time with our children. Really a lovely writeup . And great tips.will definitely try. Really you have suggested some fabulous ideas for children's day. I like the idea of going to Orphanage on that day with kids. Thanks for sharing this idea. Nice set of ideas to celebrate children’s day with our kids. Thank you for sharing these awesome ideas. I am waiting to try these this time. Spending quality time with kids is really important. I will definitely keep all this tips in mind. Great post.